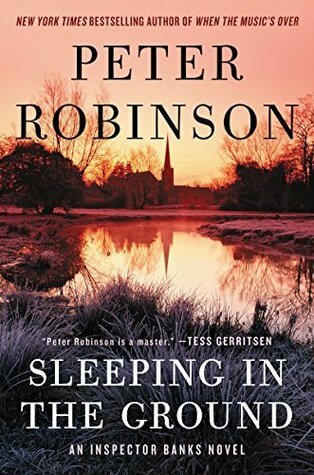 An e-book bargain-Sleeping in the Ground by Peter Robinson – Joyce's mystery and fiction book reviews with some non-fiction too! I have truly loved the Inspector Banks series and have read all of the novels, except this one, the most recent. I have been saving it, as I sometimes do when a book is by a favorite author. I plan to read it soon. In the meanwhile, you can add it to your TBR list as it is just $1.99 today. These novels can be read out of order but, if you start at the beginning, you will see how the relationships between characters evolve. Up to you. See why in Sleeping in the Ground, the gripping new novel starring Alan Banks — featuring an opening scene you’ll never forget, and a finale you won’t see coming.